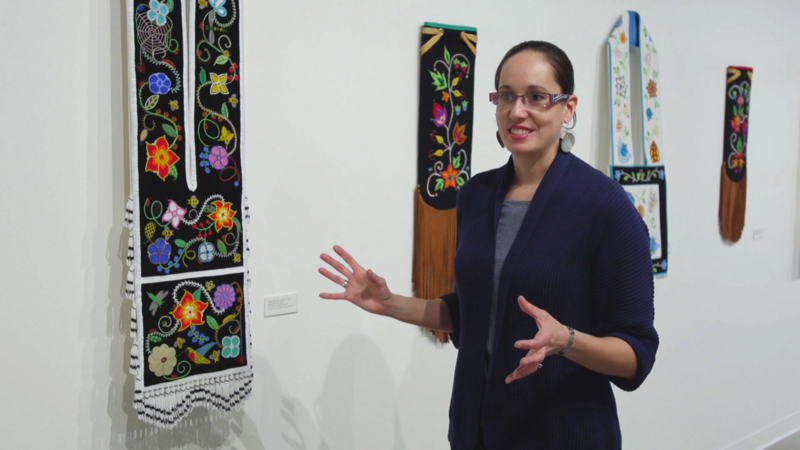 Dyani White Hawk’s work is about the intersection of traditional indigenous art and modern contemporary art. This intersection helps her reconcile and embrace her personal truths as someone of mixed race. Native American artist, Dyani White Hawk, explores intersectionality with her work.